ABERDEEN, S.D. 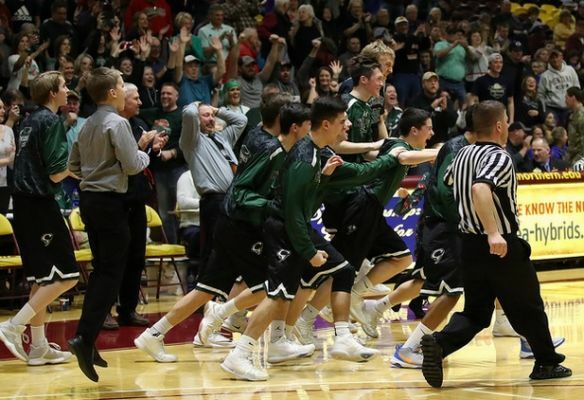 - Clark/Willow Lake beat DeSmet 49-41 to win the South Dakota Class B Boys Baskeball Tournament Saturday. Clark/Willow Lake jumped out to a 17-9 lead after one quarter and maintained their edge into the fourt quarter to pull away. Jacob Prouty dominated for Clark/Willow Lake, scoring 35 points to lead the Cyclones. Prouty was 14 of 24 shooting and 3 for 8 from the beyond the 3-point line. In the third place game, Bridgewater-Emery beat Viborg-Hurley 65-54. Earlier Saturday, White River defeated Sully Buttes 74-68 for fifth place and Jones County beat Timber Lake 60-49 for seventh place.